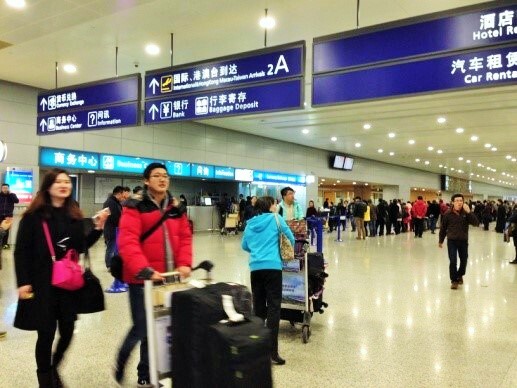 As we arrive into Pudong International Airport, I think to myself, you never know where your children will end up living in this vast world. 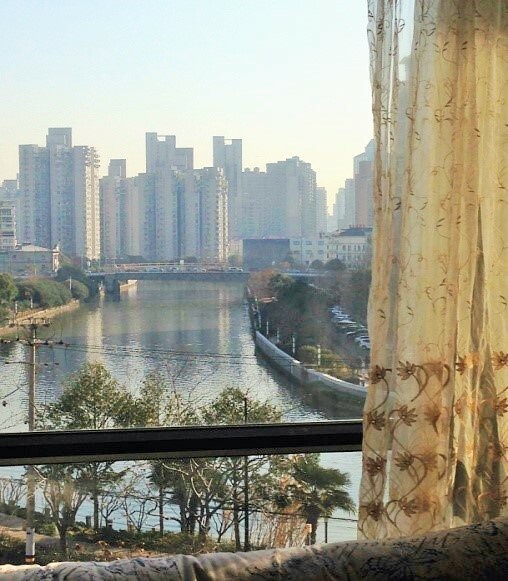 We had never in our wildest dreams ever thought our son would live in Shanghai, China with his beautiful wife. But as fate would have it, that’s exactly what happened. As parents, you get an overwhelming desire to see them in person and the idea of a trip to China is now in the books! 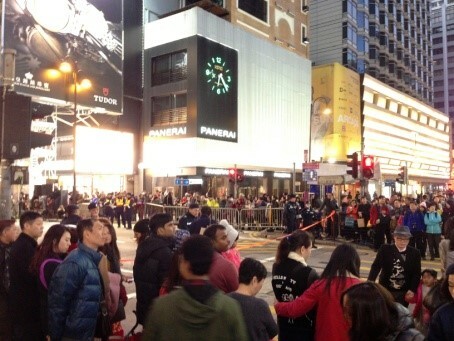 Every year during the Chinese New Year the country essentially shuts down. During this two week period, the country’s commerce slows down considerably. This is an ideal time to visit. 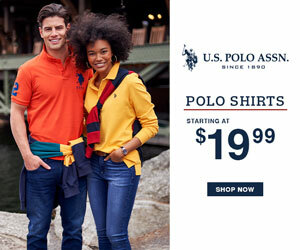 However, most tourist locations are filled with vacationers celebrating the glorious event. This year we decided to visit our family from February 2-21, 2016. We also had on this same trip a chance to visit the Philippines, but that will be another adventure told at a later date. 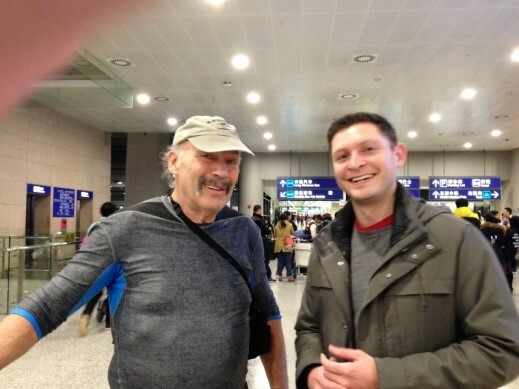 We arrived in Shanghai’s PuDong International Airport after a grueling 15 hour flight that left Denver in a snowstorm to a familiar smiling face! 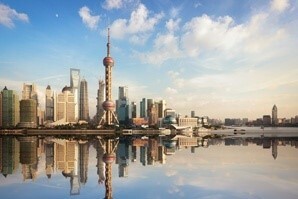 Shanghai – the Oriental Paris is China’s biggest and most prosperous city. It is one of China’s greatest economic and cultural centers. It is seen as the birthplace of everything considered modern in China. The city rivals New York, Los Angels and Paris in terms of modern trends and boasts a blended culture of the East and the West. Shanghai is a tourist destination famous for its historical landmarks that share space with its modern and ever-expanding skyline. Shanghai has a population of more than 20 million. It is the largest city in China and the second largest city in the world after Mumbai. Today it is the largest center of commerce and finance in mainland China with many Chinese and international companies opening offices here, especially along the Bund. Undergoing a construction boom, new high-rise buildings are reconstructing Shanghai’s skyline. The picture shown above is a virtual replication that is displayed in the Urban Planning building. Our next destination is Hong Kong! Our son and daughter-in-law will be our guides. They have been to Hong Kong and love the city. They thought it would be a great place to celebrate the Chinese New Year and watch Super Bowl 50. Hong Kong has developed from a small fishing village in the 1800s into a dynamic and thrilling 21st century metropolitan area. The city is highlighted with many architectural structures that grace its picturesque skyline. It also has a busy harbor that helps support its ever growing financial and economic hub. 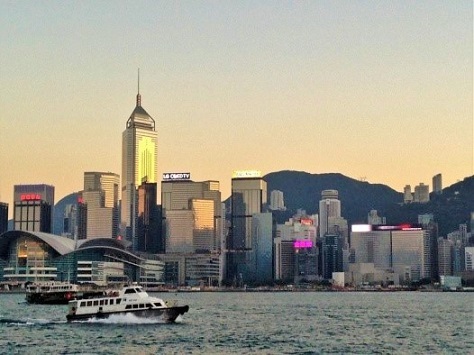 Hong Kong is a major competitor in many industries that include telecommunication, computer technology and transportation to mention a few. Hong Kong’s movie industry is the third largest in the world. Hong Kong is a fusion of many cultures. 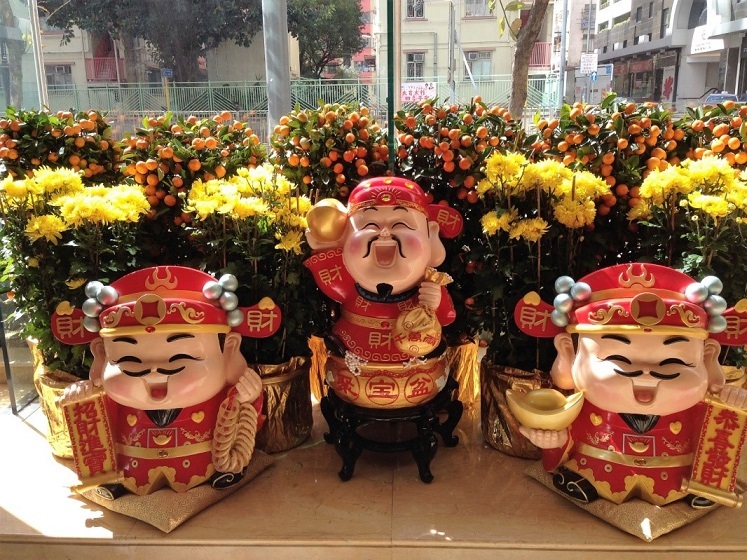 Remnants of its colonial past and British influence shares space with the Chinese traditions. The gray Confucian temples edge against the western style churches. 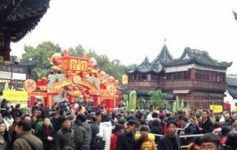 Traditional Chinese festivals such as the Spring Festival and Moon Festival are celebrated right along with Christmas. The Chinese opera and Canto-pop music lead a peaceful coexistence. 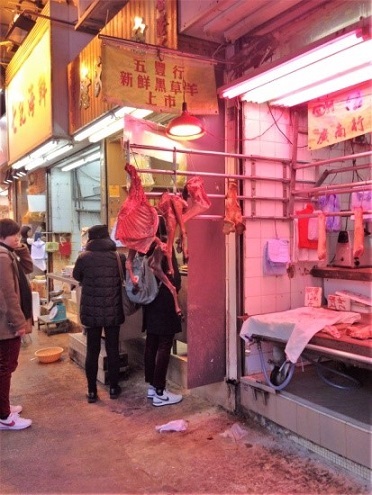 I had no idea what to expect when we visited Hong Kong, but I fell in love. It’s a colorful, bustling and diverse city. It has direct contrast with many natural elements such as hiking, camping, beaches and more! We didn’t have a lot of time in Hong Kong, but it’s a place I would love to go back to and spend some quality time! 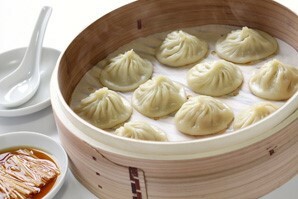 A “must taste” is the Dim Sum (steamed dough buns – shown left) filled with ground pork, vegetables such as spinach or eggplant, eggs, or bean paste. You can find any type of international cuisine here. However, Hong Kong is known more for its Cantonese style Chinese food, as opposed to what you might find in other parts of China. Hong Kong Disneyland is the newest and also the smallest Disneyland built in the world. Again, I can’t even begin to describe Hong Kong. It is vast, beautiful and diversified. 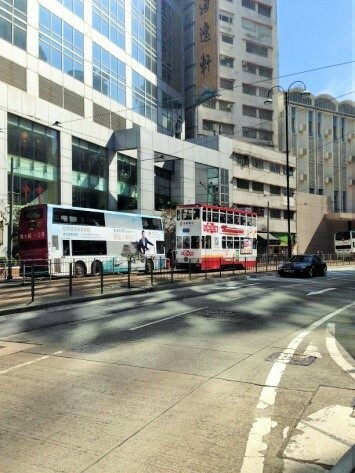 Double decker buses are part of Hong Kong’s history and can be found everywhere! We stayed on Hong Kong Island at the Harbor Plaza North Point Hotel. Very nice accommodations, reasonably priced and in a great area. Festive decorations for the Chinese New Year were everywhere. The Harbor Plaza North is also dressed up for the occasion. My husband and I love the outdoors and plan our vacations with physical activity in mind. One of our favorite activities is hiking. Our son is a great planner and found a picturesque trail named “Dragon’s Back”. It is a very popular hike just outside Hong Kong. Back home in Colorado, we have a mountainous trail named Devils Backbone. The Hong Kong Island trail is composed of many sections. It is one of the region’s most scenic trails that offers fabulous views of the South China Sea. 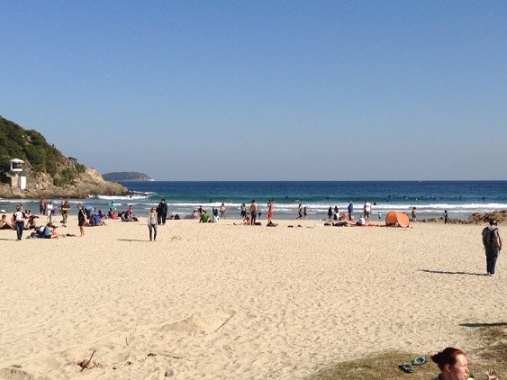 The last section called Section 8 includes the Dragon’s Back and Tai Long Wan beach. 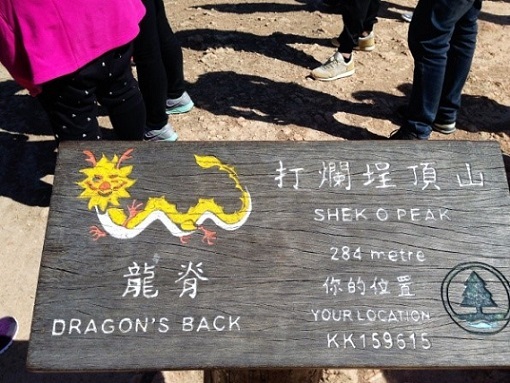 The Dragon’s Back was named by Time Magazine as Asia’s Best Urban Hiking Trail. 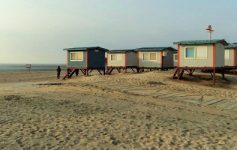 Though you are within a few kilometers of the city’s hustle and bustle, it feels like your in a totally different region. The free spirit environment is refreshing and provides an escape. We took a bus to the trail head and proceeded along a very steep, but well maintained trail. It was interesting that most of the trail consisted of steps, but had areas that took some special maneuvering. 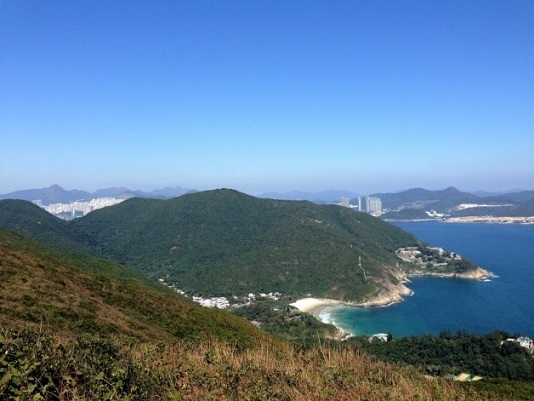 I would highly recommend this trail due to its spectacular views of the ocean and Hong Kong! We were so pleasantly surprised when the trail ended at Big Wave Beach! 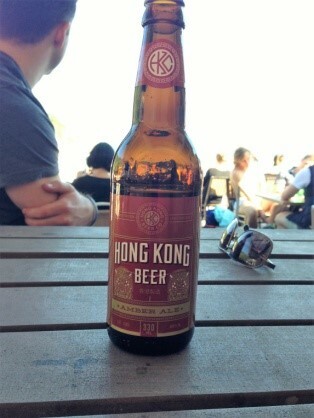 A gorgeous white sand beach with thirst quenching cold “Hong Kong” beer! 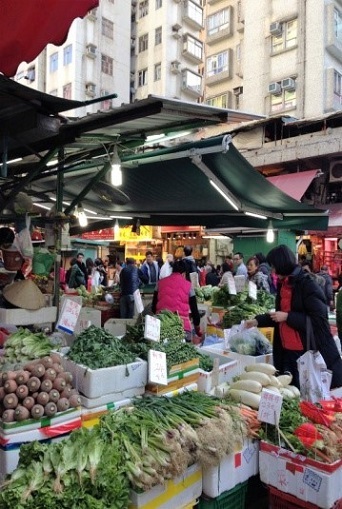 We grabbed the bus back to the city and came upon an amazing and most colorful food market. This engaging market had some items I’ve never tasted, and most likely never will! Fortunately most of the food was familiar, beautiful and very fresh! 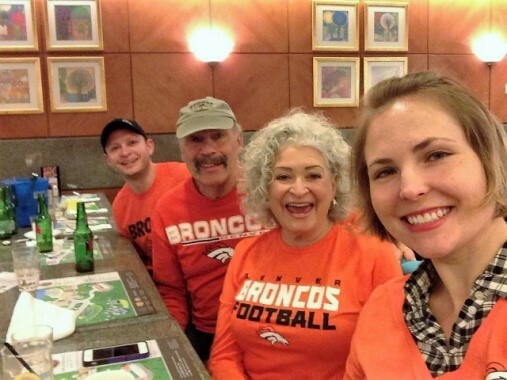 The next day we woke up early in anticipation of watching Super Bowl 50! Since we are from Colorado and Bronco fans, we were looking forward to rooting for Peyton Manning and hopefully defeating the Carolina Panthers! My son made reservations at an Irish Pub. The bar got over crowded so the manager made accommodations for us and another group of people to watch the game in the restaurant area on the big screen! The game started at 7:30 AM with breakfast, Bloody Mary’s and Beer. What a great time, especially since the Denver Broncos won! 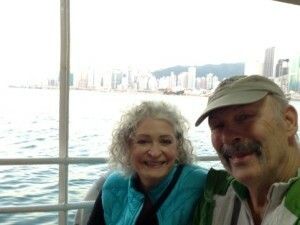 Later that evening and after a well-deserved rest, we took the metro to the ferry and headed across Victoria Harbor to Kowloon. 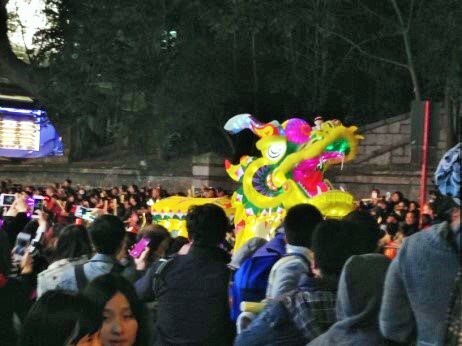 Our mission was to watch the Dragon Parade that celebrates the beginning of the Chinese New Year. The trip across the harbor was beautiful and once we got to the parade route, the sea of people was unbelievable. In addition to the Chinese National Holiday in October (similar to our 4th of July), the Chinese New Year is the biggest holiday for the country. It’s crowded (as any big parade is in the states), festive and filled with lots of happy children! We had a pretty good vantage point and were able to feel the excitement! It is time to call it an evening. We have had so much fun these last couple days. We are looking forward to our next adventure. I hope you stay tuned to Gay and Phil’s most excellent Trip of a Lifetime!